Anne & Jerome Fisher Fine Arts Library – Teach. Empower. Transform. 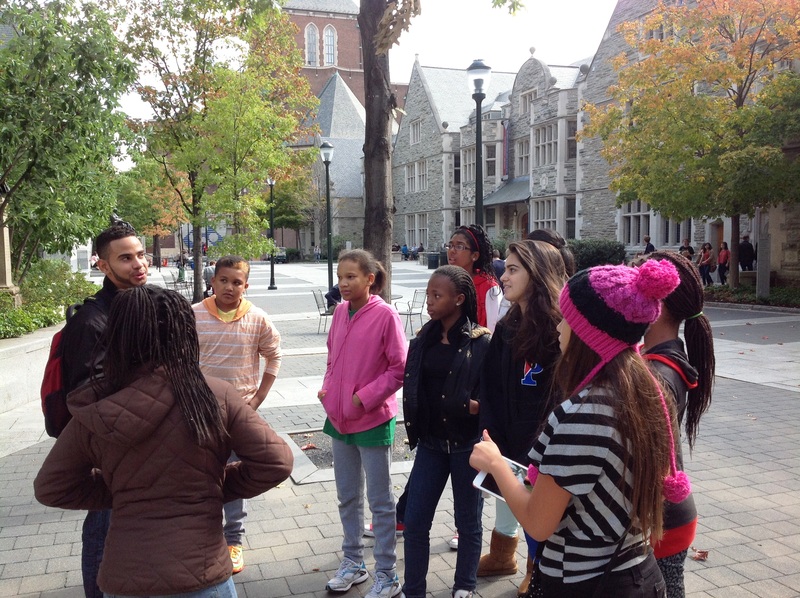 Our attentive Middle School Scholars learning about the University of Pennsylvania. 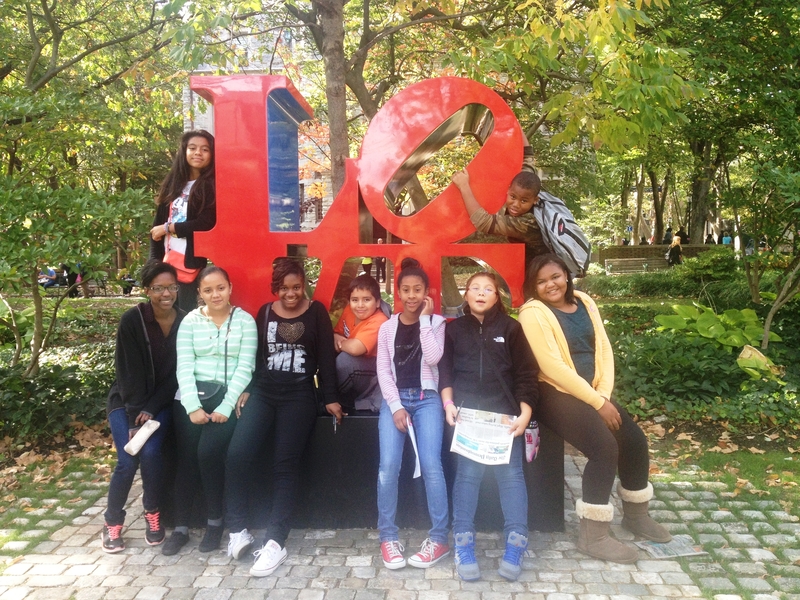 Early on a bright and sunny October 14th, 25 Middle School students from the FLOC Scholars Program boarded a bus headed for the University of Pennsylvania (UPenn). Upon their arrival to the ivy-covered Philadelphia campus, the FLOC Scholars were greeted by five college students representing the Greenfield Intercultural Center at UPenn. The college students answered questions and led their visitors on group tours all around the bustling campus. Highlights included the historic Anne & Jerome Fisher Fine Arts Library, a glimpse at a dorm room, the oversized button sculpture, and the campus bookstore. Following a few more questions about college life, the FLOC Scholars parted ways with their wonderful UPenn student guides. According to their appetites worked up by touring the large campus it was then lunchtime. The FLOC Scholars were not disappointed by the extensive lunch options available to them at the heavily anticipated cafeteria. For many, this was a chance to enjoy the company of new and old FLOC friends alike over a slice of fresh pizza or a bowl of ice cream from the memorable sundae bar. With tummies filled and feet rested, it was off on another venture for the Scholars: a scavenger hunt led by more dynamic UPenn undergraduates. Teams competed to investigate UPenn lore and favorite sites around campus before eventually meeting up at the famous LOVE sculpture. The Scholars ended their day back at the Greenfield Intercultural Center, where they asked the last of their well thought-out questions and received commemorative water bottles and bags to remember their exciting day at the University of Pennsylvania! Few eyes were shut on the bus ride home after such a stimulating adventure.